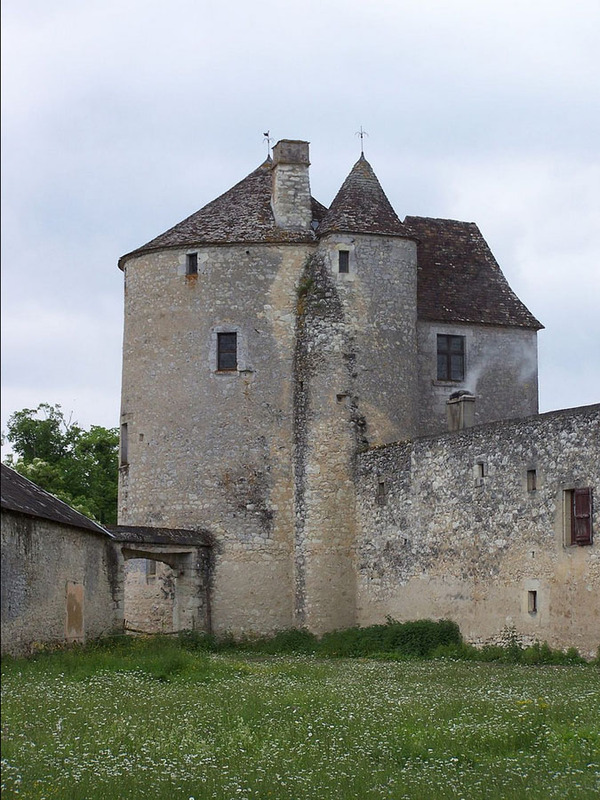 Montaigne's tower where he had his library. Here I want to be seen in my simple, natural, everyday fashion, without striving or artifice; for it is my own self that I am painting..../And therefore, Reader, I myself am the subject of my book: it is not reasonable that you should employ your leisure on a topic so frivolous and so vain. I undertake to write without preconceptions on any subject which comes to mind, employing nothing but my own natural resources...What I myself have thought up and produced is poor feeble stuff, but I let it go on, without plastering over the cracks or stitching up the rents which have been revealed by such comparisons [with the great authors of the past]. Then again, I talk less; it is always easier to draw on the storehouse of memory than to find something original to say. If my memory had stood fast, I would have deafened my friends with my chatter......Once you are off, it is hard to cut if short and stop talking. Nothing tells you more about a horse than a pronounced ability to pull up short. I have even known men who can speak pertinently, who want to stop their gallop, but who do not know how to do so. While looking for a way to bring their hoofs together they amble on like sick men, dragging out trivialities. I quote this to give you an idea of how easy going and rambling and interesting the essays are; how readable and thought provoking. Of course, praise must be given to the translator of the complete essays. The version I have was translated by M.A. Screech, originally published in 1991; it includes a short and helpful introduction to each essay and copious notes. The laws of conscience which we say are born of Nature are born of custom. ...usage hides the true aspect of things from us. The most express sign of wisdom is unruffled joy: like all in the realms above the Moon, her state is ever serene. He is dismissive of just book-learning; he wants the child to learn judgement, and to experience the world. For our boy any place and any time can be used to study: his room, a garden; his table, his bed; when alone or in company; morning and evening. His chief study will be philosophy, that Former of good judgement and character who is privileged to be concerned with everything. Anyway these are my humours, my opinions: I give them as things which I believe, not as things to be believed. My aim is to reveal my own self, which may well be different tomorrow if I am initiated into some new business which changes me. I have not, nor do I desire, enough authority to be believed. I feel too badly taught to teach others. 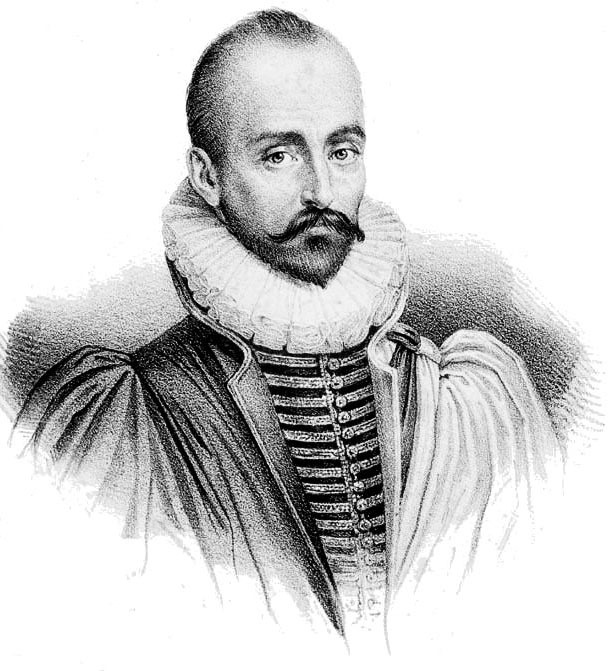 *You can read a selection of Montaigne quotes at this Wikipedia link. oh this is so wonderful. I'm so glad you like it, Toni. It's a rather esoteric subject. I'll get right on the Bakewell. Sounds good....right in line with the Stevenson I picked-up here, "We can know others only by ourselves." He also sounds a little "Berean", as in Acts 17:11, "don't believe a word I say until you've run it by the Scriptures..."
I had to look up Berean. Maybe they were Montaignan, but I doubt it. He got his philosophy in part from the great Classical authors: philosophies such as Skepticism and Stoicism were important to him. And I doubt he'd think "don't believe a work I say until you run it by the Scriptures"; though he was a Catholic, he was a relativist and wasn't a great believer in ultimate truths. A New Textile: "Two Ovals"
A New Painting: "Cross and Stripes"